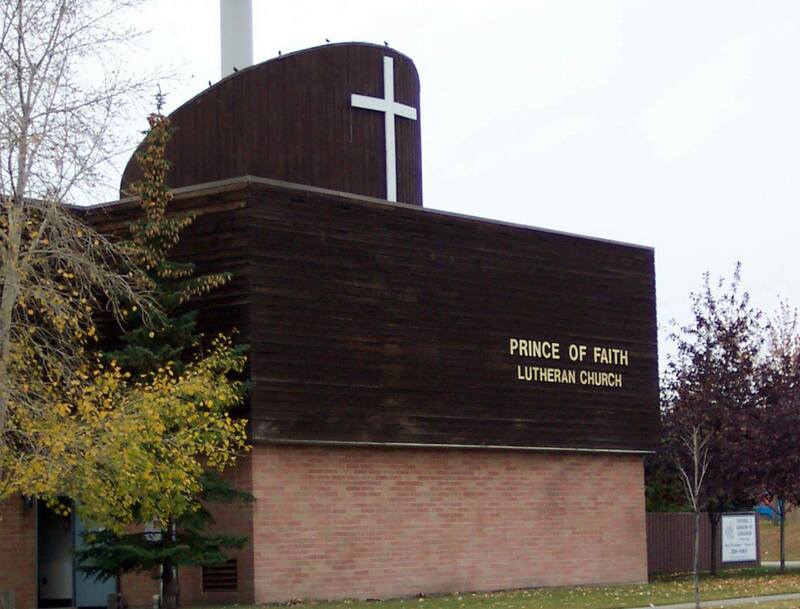 Organized in 1980, Prince of Faith Lutheran Church has been an integral part of Northeast Calgary. Located in the neighbourhood of Pineridge (en.wikipedia.org/wiki/Pineridge,_Calgary) we are blessed to be surrounded by a diverse mix of people from around the world. We are in close vicinity to Village Square Leisure Centre and as such are in the midst of the community action. Gathering in community centres for our first two years, we have been in our current facility since 1982. We share the facility with St. George's Anglican Church, Iglesia Vida Nueva, and the Iglesia Christiana Vida Fellowship of Calgary which makes the facility a busy place. Also hosting two AA groups and other community meetings from time to time, gives us the opportunity to interact with the wider community. We are a congregation of the Evangelical Lutheran Church in Canada and the Synod of Alberta and the Territories.